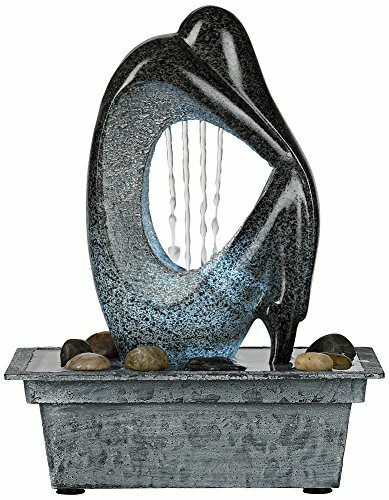 An indoor/outdoor tabletop water fountain is a great way to add an exciting accent to your decor. 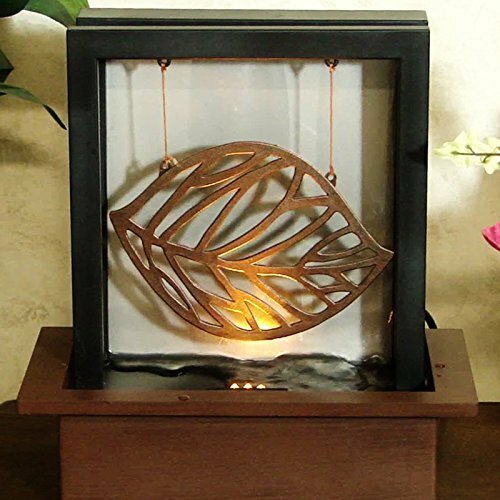 This design features a carved stylized figure in silhouette constructed out of polished stone-look polyresin and illuminated by a 4-piece LED cluster. A pump circulates water from the figure into the aged copper finish basin. 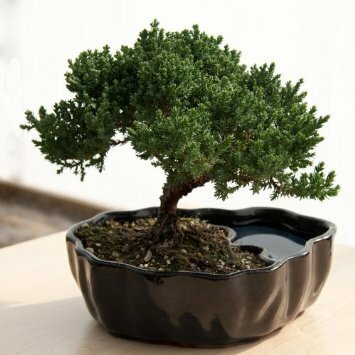 Polyresin construction is lightweight and easy to place inside or out. 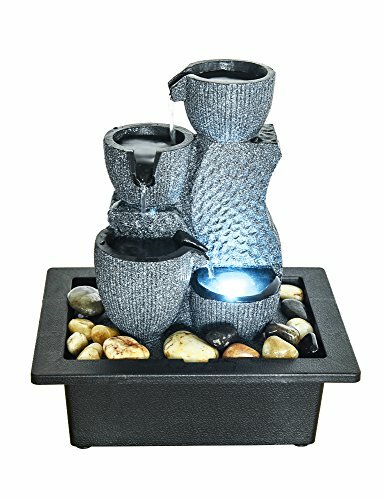 A convenient power cord is included; simply add water, plug in and enjoy!- 10" high x 7" wide x 5" deep x 6-foot cord.- Modern Silhouette LED tabletop fountain with 4-LED light cluster.- Faux black marble stone finish, lightweight resin construction.- Please note - item is black faux marble stone, blue-tone in image is reflection of the LED light.- Fountain pump is included; easy to set up. 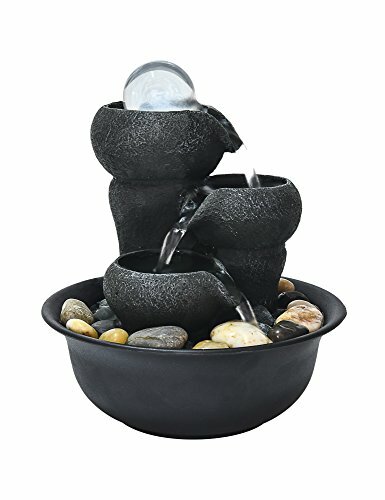 Material:Durable resin Fountain Color: Black Weight: 1.3kg/2.86lb Size:(L x W x H): 20*20*20.5cm/7.9*7.9*8inches Supply Power:110V (US Power Adapter) Features: Safety Tested and Certificate Approved. Low-Voltage Energy Efficient Design. Package: 1x water fountain （not including the goose stone ） 1x water fountain pump 1x LED Ball 1x power cord NOTE: 1.Better to keep the fountain with enough water all the time (pump should always be covered with water). 2.Base Clean: Clean the fountains once every couple weeks. Simply empty the base and wipe it clean then refill. 3.Pump Clean: Remove the pump from fountain, rinse and clean with small brush (such as toothbrush), place back in fountain and refill. 4.Come with a indoor rated electric plug, suggest to use in covered area. 5.Due to the reflection of water, the lights taken in the picture will slightly different from actual item light. 6.Fast and safe shipping from US, delivery time: 3-5 working days. 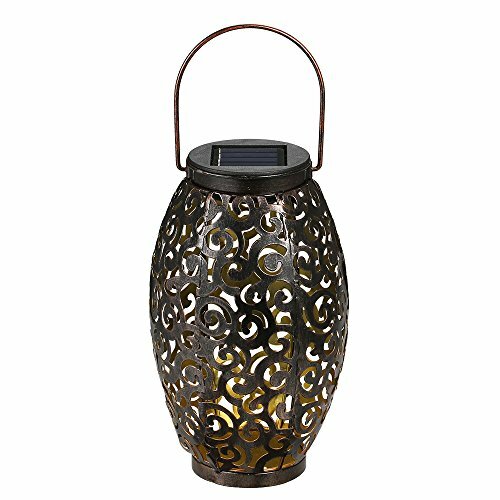 Material:durable resin Fountain Color: GreyWeight: 1.3kg/2.86lb Size:(L x W x H): 24*18*28cm/9.4*7*11inches Supply Power:110V (US Power Adapter) Features: Safety Tested and Certificate Approved. Low-Voltage Energy Efficient Design. Package: 1x water fountain（not including the goose stone ） 1x water fountain pump 1x power cord NOTE: 1.Better to keep the fountain with enough water all the time (pump should always be covered with water). 2.Base Clean: Clean the fountains once every couple weeks. Simply empty the base and wipe it clean then refill. 3.Pump Clean: Remove the pump from fountain, rinse and clean with small brush (such as toothbrush), place back in fountain and refill. 4.Come with a indoor rated electric plug, suggest to use in covered area. 5.Due to the reflection of water, the lights taken in the picture will be slightly different from actual item light. 6.Ship from US, fast and safe delivery time: 3-5 business days. 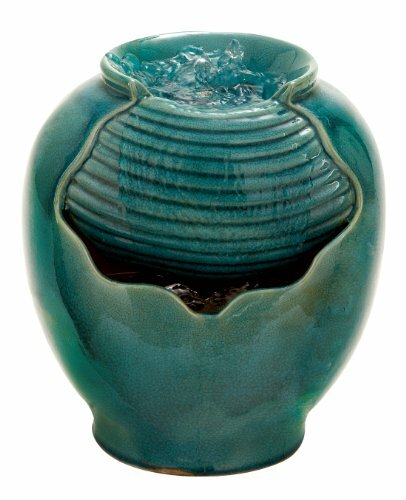 12 inch Asian influenced ribbed Jade ceramic drum shaped garden fountain, water cascades from upper pool into Hollow lower receptacle with scalloped opening. Suitable to use as a decorative item. Unique home decor. This product is manufactured in China. 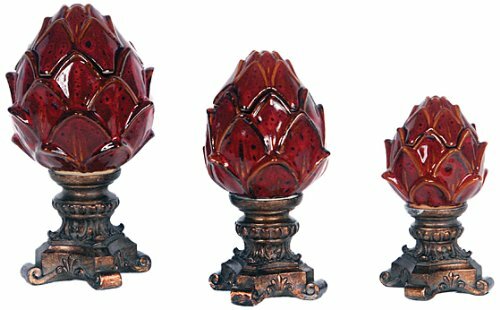 Artichoke boxes with 3 boxes brings a style that will enhance your design area, featuring 3 red boxes with a bronze finished bases. this will give your room the emphasis on style you desire. 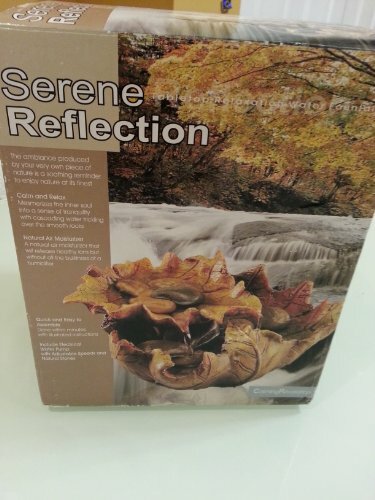 Looking for more Reflections Tabletop Fountain similar ideas? Try to explore these searches: All Clad Hard Skillet, 10 X 4 Bottle Holder, and Style Suit Jacket.